Many people around the world are suffering from diabetes, it is the century disease and it is affecting all age groups even little children. It is a condition where the pancreas stops producing enough insulin or the body itself find difficulty to respond to the insulin produced by the pancreas and store the sugar in the blood into the fat cells. Increased urination especially during the night. Slow healing for cuts and wounds. However diabetes also trigger other health conditions including poor vision, kidney failure, blindness, nerve damage, erectile dysfunction, heart diseases and general weakness. There are three types of diabetes, tyype1, type2 and gestational diabetes. The first type of diabetes occurs when the immune system of the body produces antibodies to attack and destroy the beta cells of the pancreas. The second type of diabetes occurs when the body doesn’t use insulin properly or lacks the ability to respond to it or the pancreas itself is not producing enough insulin. Gestational diabetes happens during pregnancy and specially in the second trimester but it clears away after child birth. While you will need medications to regulate your blood sugar levels, you can also get help from natural remedies and ingredients, i witnessed that type 2 diabetes was successfully controlled by a healthy diet and exercise. This remedy will help you so much if you want to keep your blood sugar levels under control specially after meals so check it out. How To Prepare This Remedy. Take 10 to 15 mango leaves and boil them in one and half cup of water, let them simmer for two minutes then switch off the fire and cover. Let the solution steep until the morning and drink it on an empty stomach every day. You can also use dried mango leaves to make this tea in the morning and drink it on an empty stomach. You will notice experiencing less tiredness and weakness when you stay for a while without eating. You will also notice decreased thirst and increased energy levels specially after meals. 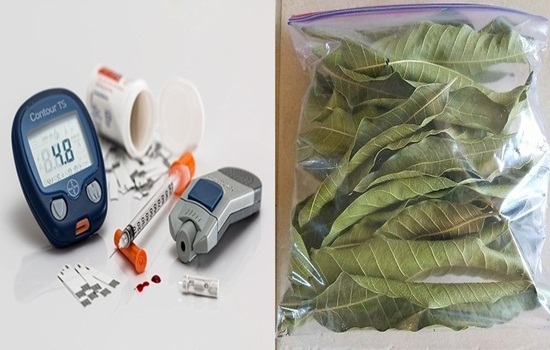 Mango leaves contain tannins which are what is responsible for keeping blood sugar levels in check when consumed, as this substance helps in increasing insulin production and improving dissemination of glucose which in result brings blood sugar levels to normal.